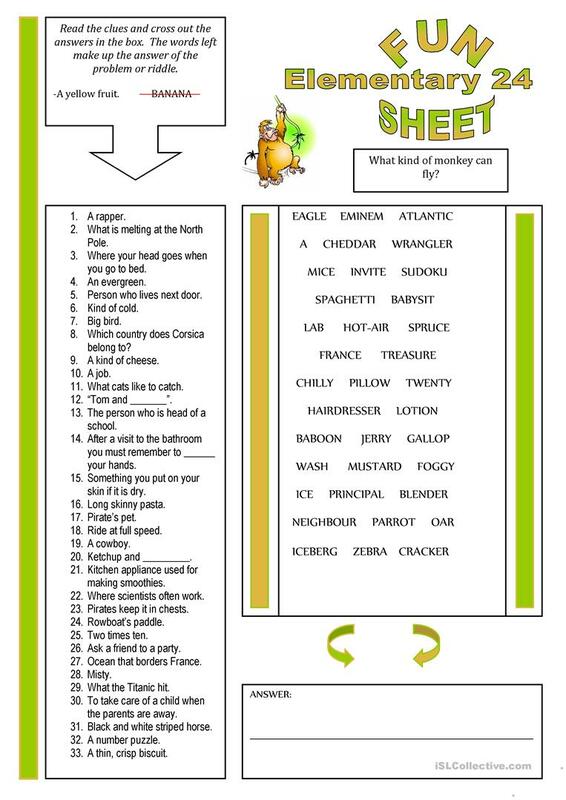 One more for your booklet of Funsheets for Elementary+ students. It is a good way to learn new or revise already learnt vocabulary. The above downloadable worksheet is best suited for high school students, elementary school students and adults at Beginner (pre-A1), Elementary (A1), Pre-intermediate (A2) and Intermediate (B1) level. It was designed for honing your pupils' Reading and Writing skills.